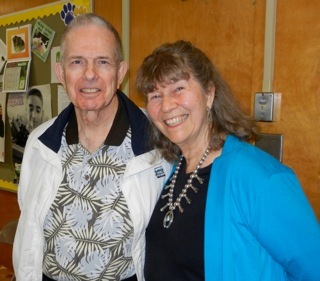 Diane Hill, Editor of the United Neighbors community outreach organization which she has operated with her husband, Paul, for years, has come up with a terrific way to honor the memory of her husband and, at the same time, provide a critical public safety service to the City of Costa Mesa. who died as a result of a heart attack 11/17/2012. The project goal is to give the opportunity to learn Hands-Only CPR to all residents and workers in Costa Mesa within a year. This would be accomplished by having manikin tables at public events where you can learn or review Hands-Only CPR in 2 minutes combined with using and sharing bilingual Adult/Child CPR Anytime kits which include an inflatable manikin and an instructional DVD, so they are self-training. · Order one or a few Adult/Child CPR Anytime kits for $34.95 each, train your office staff or organization and then take it (or let associates take them) home and train the neighbors. Contact Diane to get the special participation roster. · If you order 100 or more the kits are only $27. Send a check made out to AHA – CPR Anytime Costa Mesa Restricted Program and addressed to Sylvia Beanes, CPR Anytime, 816 S. Figueroa Street, Los Angeles, CA 90017-2400. Contact Diane to get the special participation roster. 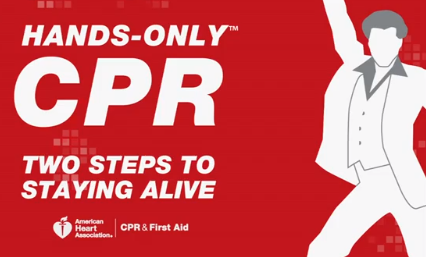 · If you are a business or an organization, like a church, have your own Hands-Only CPR event and train all your people. Register the event beforehand with Diane, so you can use the special participation rosters and be counted as part of the project. If you do not have knowledgeable instructors and manikins, there are volunteers available. See next paragraph. · Tell Diane if you have an event at which you would like to have a manikin table. Our Training Center Coordinator has offered the volunteer assistance of her several hundred instructors to man these tables and be available to answer questions about Hands-Only CPR. To be counted as part of this project, all the people who get trained need to sign a special participation roster for the “In Honor of Paul” project. If you have had CPR training, you are welcome to stop by one of the manikin tables, practice your compressions, ask any questions you may have about Hands-Only CPR and sign the participation roster. Just to be clear, Paul did not die from lack of attention. I watched him go down not more than 8 feet away from me in our home. I had my iPhone in hand and was at his side as he hit the ground. Because of our involvement in disaster preparation, we had become American Heart Association Instructors. I followed what we taught; only pausing after I found no pulse to open the front door and turn on the light to help the responders get in. I had an open line to 911 as I worked and I heard a rib crack, so I knew I was getting some compression depth. Our responders were on scene within minutes and transported Paul to Hoag as soon as they got him ready. I share this to encourage you not to be afraid to try because you are afraid you might fail and don’t feel like a failure if the patient does not survive. I am at peace with Paul’s decision and do not feel I am responsible for his not still being here. I encourage everyone to know Hands-Only CPR for their own peace of mind, because then you have an opportunity to try to give an adult victim a chance to make a choice rather than have no choice at all. Activity update: Sylvia Beanes of the AHA (American Heart Association) has already found funding for 100 kits for Boy Scouts in Costa Mesa who will commit to using the kits to train at least 10 people. If you have skills or ideas to help this project move forward, please contact Diane. There are a few print materials to be designed. There is printing to be done or funded. One of the AHA goals is to train all students before they graduate from high school. In 2009 2027 kits were given to 9th graders in the LAUSD who were trained and took the kits home and trained 14,901 more. There are 1221 students at Estancia High School and 1100 at the high school level on the Costa Mesa campus. It would be special to fund these 2321 students quickly, so they can choose if they would like to have a friendly competition to see which school could train the most people in CPR. There are also 600 middle school students on the Costa Mesa campus and more at Tewinkle. The older grades might be ready to learn CPR. Anyone in Boy Scouts is old enough to learn. If children are old enough to understand and strong enough to do compressions, they are welcome to learn. Indeed, two 9 year olds in Florida recently saved a baby because they knew CPR. Think about how you or any organization of which you are a part - church group, homeowners association, etc., might be able to participate in this very worthwhile project. The information above, including the two links to the American Heart Association websites are very informative and the videos are entertaining. The Bubbling Cauldron post is a fitting reminder of all the service Paul and Diane Hill provided to this community for so many years. Heartfelt thanks to Diane for turning grief to this wonderful memorial, which will save uncounted lives over the years to come. May Paul's memory be for a blessing.